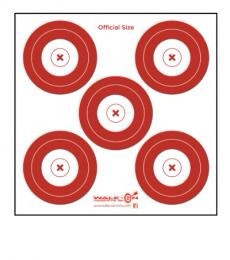 We now have our 50 piece 5 spot target faces available for purchase on our website. We are offering 20% off as an introductory discount. Use code FB050114 to receive the discount at checkout. Each month we will release another target face with the same 20% introductory offer. Share this with your friends and stay tuned for other news from Walk-On Archery.